At this time of the year we all need a little hot chocolate as the temperature begins to drop here in the UK, it’s a time for change in the season, and it’s a time of transformation. 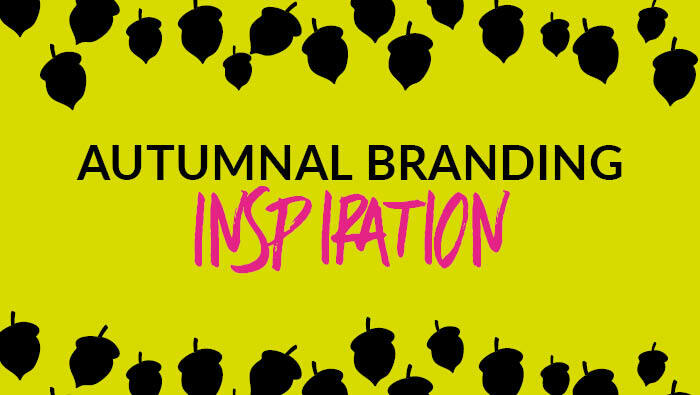 We can all do with a little autumnal branding inspiration. Autumn vibes conjure up thoughts of warm fires and crisp fresh walks in the forest. It’s also a great time to plant new desires – just like planting the new seeds for next year’s crop – and with the new sun of spring – see them sprout – or grow – or manifest! Yay! Use natures colour palette – golds, greens, cranberry, yellows and oranges – oh yeah – feel it already – warm, deep and hearty. If you’re rebranding then use these colours to inspire your logo and moodboards. If you’re rebranding then use these colours to set the feeling for your brand – when we talk about feeling – it’s the feeling you want to inject into your brand – how do you want people to feel? Warm, welcomed, nourished, renewed, transformed, fresh? Think about the words connected to an Autumnal brand and apply them to your biz. Write about the changing of the seasons in your content – just like I’m doing now – time for a change, new planning, planting new desires, fall into…. you get the idea… play on words with your content and posts. Take a walk – yup really – go for a walk – ear phones in, tunes on or walking meditations are the best. Take in all that fresh Autumnal air, it’ll bring you a fresh perspective, and if you’re anything like me, as I know we are all guilty of this, working from home means sometimes we forget to go out! Essshhhh! When I am walking I get the best ideas for everything! Use your phone – to take your own photos – so you can use them as part of your marketing. Original, inspired, your photos are original and unique to you. Capture moments as you pass by or whilst out and about – capture the changing of the season – what colours did you capture whilst out and about – you might even fancy a rebrand off the back of colour, flower, tress, water – anything you see might just inject a change to your business. Use inspiring quotes about autumn for memes – BrainyQuote is a cool place to get tons of quotes all in one place – or Pinterest. Embrace texture – autumn is all about texture – so for instance, if you’re a personal stylist you could add velvets, lush fabrics and golden jewellery to your posts and marketing. Use filters to your advantage – applying filters to your own photos to warm them up is a great idea to embrace autumn in your marketing and branding. Apps like WordSwag and Picmonkey are a great place to start. Autumn really is all about change and transformation – take in the changing of the season and really feel it – be inspired by everything all around you. 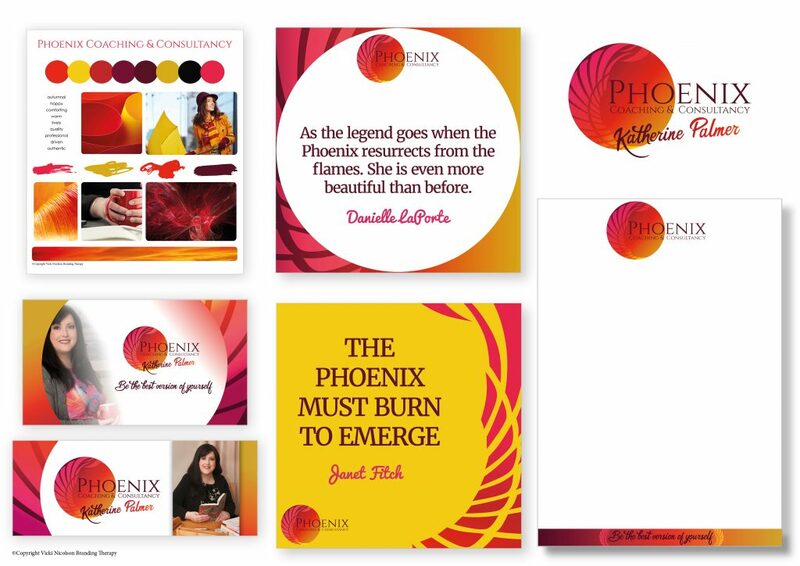 Here’s a gorgeous example of an autumn brand to get your creative juices flowing…Designed for the gorgeous Katherine of Phoenix Coaching & Consultancy – warm, deep, comforting and glowing. 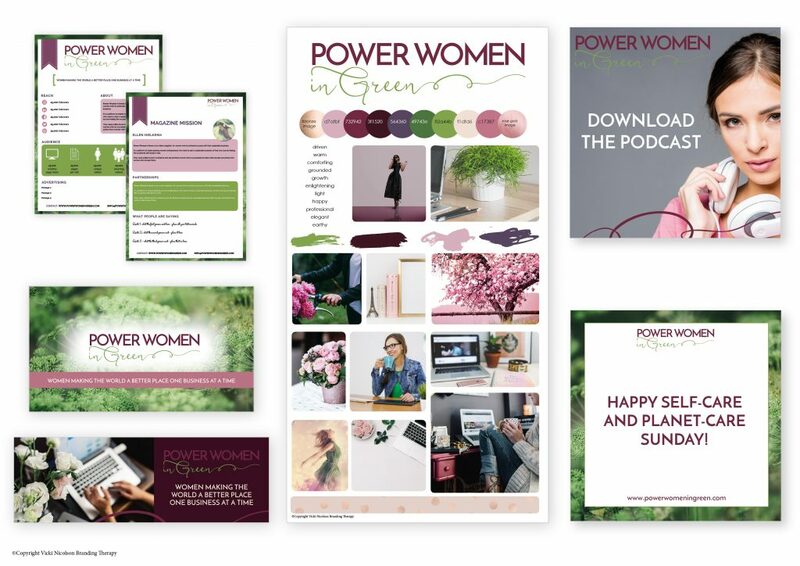 As well ast this gorgeous brand I recently designed for Ellen Minty for The Power Women in Green… not your stereotypical autumnal colour palette but it has that unique balance of mixing autumn green shades with glistening shimmery pinks. Embrace the Autumn – in fact you can do these easy steps and apply them to every season. Take advantage of these seasonal changes.